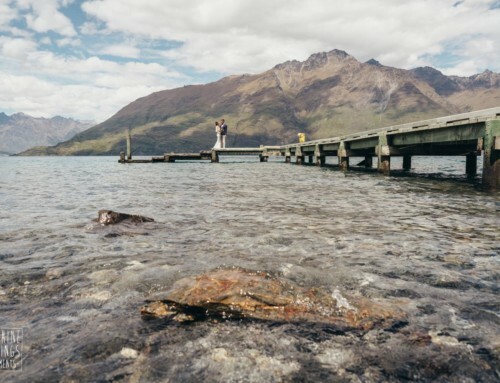 As a local Queenstown wedding planner, we get excited with couples like this. Gaby and Pedro wanted their wedding to be completely unique. It’s fair to say they succeeded. 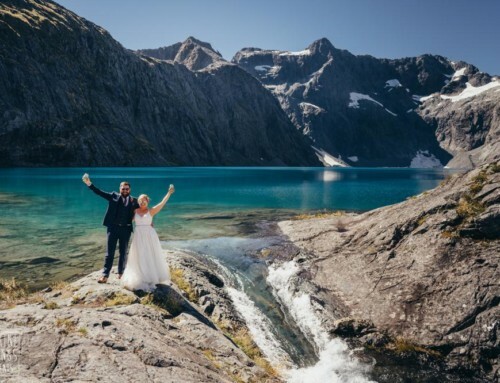 Their non-traditional Remarkables wedding looked amazing. Gaby wore a bright and colourful wedding dress. Her hair was purple and styled by Claire from Beautiful Bridal Hair. The flower crown and luscious bouquet from The Flower Room matched perfectly. As it turns out, Doc Martin boots are ideal for getting around in the snow too. Gaby and Pedro’s ceremony was in english and spanish. 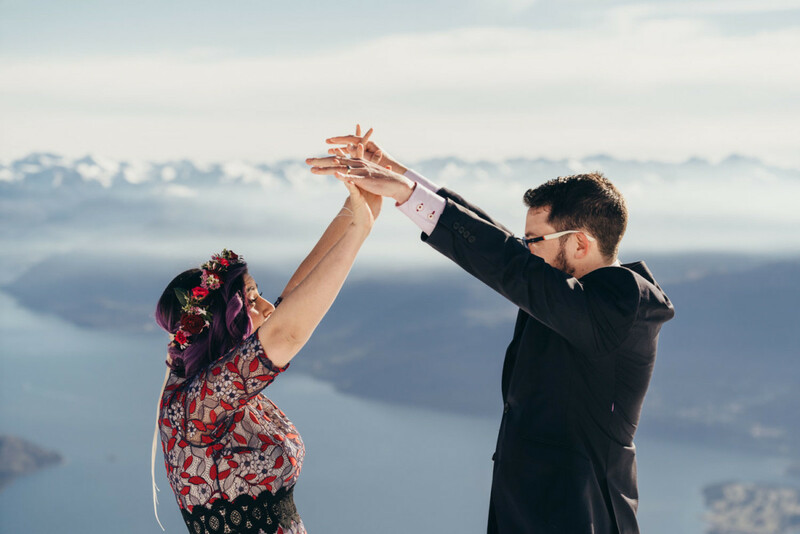 Charlotte Winkel from Your Big Day was the perfect celebrant for their off-beat wedding. The Remarkables was covered in thigh deep snow which was a great backdrop to the pop of colour. If you’ve ever thought about a change from a white wedding dress, scroll down now! Landing location: The Remarkables, Double Cone, Queenstown. 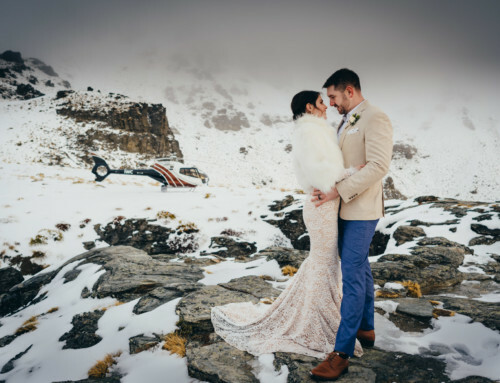 Gaby and Pedro booked our Remarkables wedding package for their colourful elopement, plus a hair makeup and flower package. This included 1 hour photography, planning, coordination, celebrant, bubbles and helicopter flight, hair and makeup stylist to their accommodation plus a bridal bouquet and buttonhole.